Power Scheme's dash to the finish line at Royal Randwick on Saturday. First up and providing Fiorente his third stakes-winner, was the two-year-old colt Power Scheme, who surged home to score a narrow win in the Listed ATC Fernhill Handicap at Randwick on the second day of The Championships. A full brother to Group 2 MRC Autumn Stakes winner Hawkshot, the Lindsay Park trained Power Scheme has now shown similar stakes ability. A close last start second in the $125,000 Mornington Polytrack Sires Stakes he was able to handle the class rise to this 1600 metre Black Type contest with ease. Strong all the way to the line for Mark Zahra he won by a short half head in a thrilling finish over Dissident filly Foxborough. Bred and retained to race by Victorian-based Sun Bloodstock, Power Scheme has a win and two placings from five starts with prizemoney in excess of $117,000. He is the third winner from three foals to race from Rosa Perlato, an Encosta de Lago daughter of stakes-placed Fiammarosa from the family of Group I winners Shindig and Shinzig. Rosa Perlato was covered by another of the Sun Stud sires last season in Thronum. Co-trainer David Hayes spoke glowingly of Power Scheme in his post-race debrief, and the colt could make a quick return to the track in the Group 1 Champagne Stakes over 1600 metres at Randwick next Saturday. 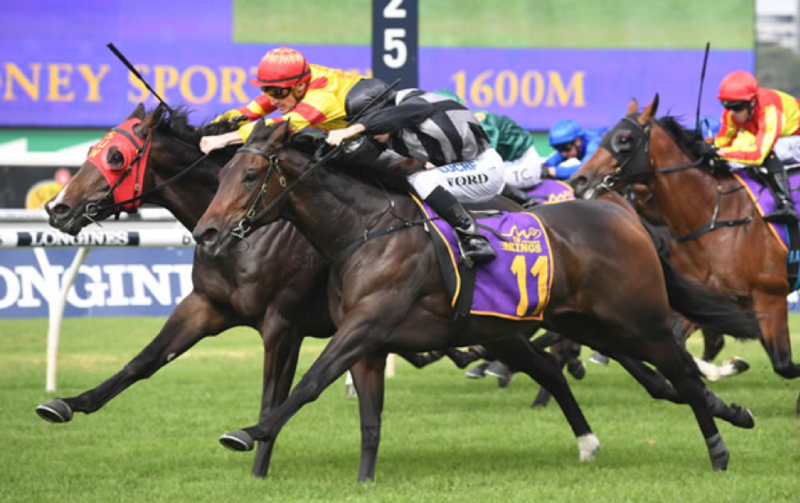 Sun Stud’s Fiorente covered 169 mares last spring, and with his oldest progeny just three-year-olds, the son of Monsun is already doing an excellent job, with better results expected as they mature. With horses like Hawkshot and Stars Of Carrum flying the flag, he is proving popular with buyers with his yearlings in 2019 averaging $126,000 off a great value service fee of $17,600 for the 2018 season. The second winner for Sun Stud was from the ever-reliable stallion Magnus, with the magnificent win of Mahamedeis who powered home from last to score over 1600 metres at Caulfield on Saturday. Luke Currie had no one behind him at the 400-metre marker but judged his run to perfection to get home in the final strides on board the ultra-consistent and classy four-year-old gelding. Having saluted in both the Traralgon and Werribee Cups last preparation Mahamedeis is building a super impressive resume of seven wins, and four placings from only 20 starts, with earnings of $577,290 for his Caulfield based trainer, Nick Ryan. “I was confident today, and it’s good to see it come off. He will target the profitable 2000 metre VOBIS Gold race in a fortnight Caulfield and will be tough to beat,” said Ryan. Mahamedeis is the fourth named foal out of the Elusive Quality mare, Elusive Magic, and was bred by Victorian breeder Christie Woodard at the former Yallambie Stud in Kerrie. On the right track, Magnus has recorded 78 individual winners and has over $4.2m in progeny earnings already for the 2018/19 season, a remarkable statistic from a service fee of only $19,800. While the final victor for Sun Stud was the talented Squamosa filly taking out the lucrative two-year-old event at Rockhampton on Saturday. Unbeaten in two starts, the two-year-old filly Good Humour produced an exciting burst of acceleration to win the $125,000 Capricornia Yearling Sale Classic over 1200 metres. The Toowoomba trained filly won convincingly on debut in February at Rockhampton and has retained her unbeaten status with an electric three-quarter-length win in the valuable 2YO Classic. With the winner’s purse and QTIS bonuses, the impressive Squamosa juvenile will see her prizemoney soar well over the six-figure mark, much to the delight of her connections. Good Humour is the first foal out of the Mossman mare, Funny As, and was bred by loyal Sun Stud client Perry Hardy. Standing in 2018 for $6,600, Squamosa has a cost-effective winner’s average earnings index of $65,645 and has an exceptional strike rate of 11% stakes horses to runners.